While watching a flock of Snow Geese, Kurt Hoelting wondered if they were ever going to move; they seemed so content. Then, one by one, their heads began to bob. And after awhile, small groups started to fly away. Then suddenly, the entire flock peeled off the field. Kurt says, “When I think about something like climate change, maybe the whole flock doesn’t have to get it. Maybe just a few us have to notice that it’s time to move and start moving." In response to climate change, Kurt Hoelting gave up car and air travel for a year, relying mostly on his bike, boots, and kayak. You can read about his experiences in The Circumference of Home: One Man's Yearlong Quest for a Radically Local Life. You can find a link to Kurt’s book about living locally at birdnote.org. 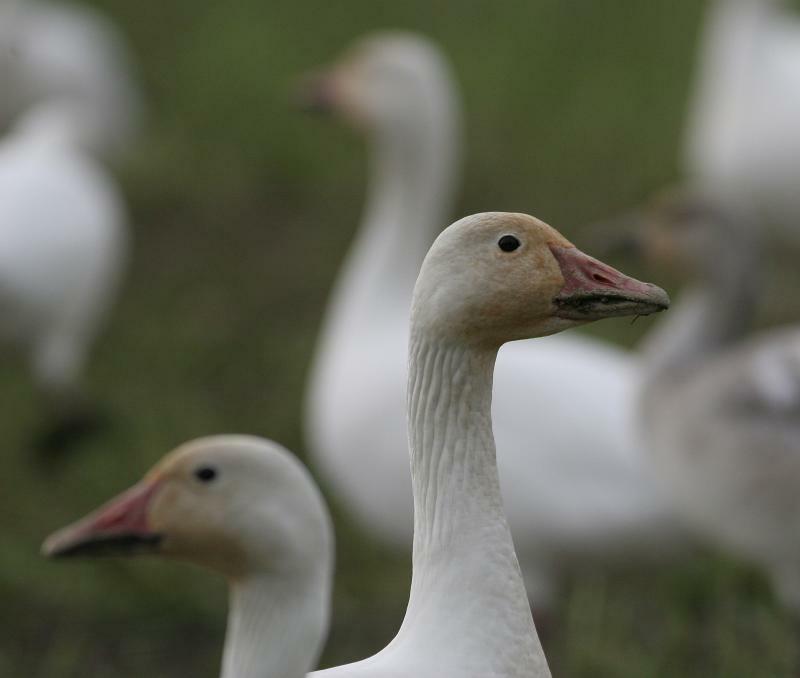 Calls of flock of Snow Geese  provided by The Macaulay Library of Natural Sounds at the Cornell Lab of Ornithology, Ithaca, New York recorded by W.W. H. Gunn. Ambient Pacific Northwest forest recorded by C. Peterson.